A combination of increased transit business and relatively low unit costs helped Air Astana to post a profit of US$39.1 million in 2017, returning the airline to profitability after its first ever loss in 2016. Kazakhstan’s national carrier enjoyed a 12% passenger traffic growth and a revenue increase of 22% in 2017, after reduced performances in both 2015 and 2016 following the devaluation of the Kazakh tenge in mid-2015. The airline carried 4.2 million passengers last year and recorded total revenues of $754 million. Its freight carriage grew by 23 per cent. 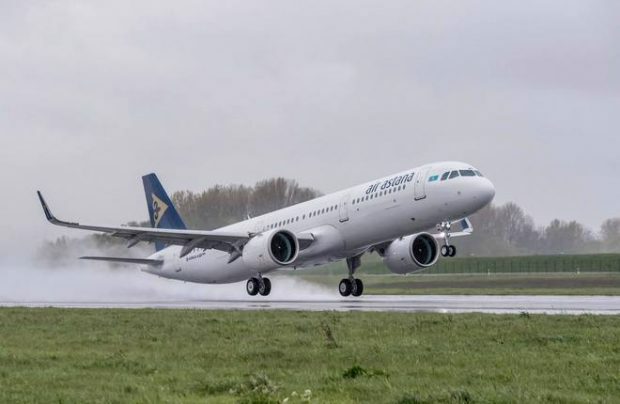 Air Astana’s capacity grew by 7% last year, with new routes added between Astana and Delhi and Astana and Kiev, and increased frequencies to Bangkok, Beijing, Dubai, Istanbul, London Heathrow, Moscow, Novosibirsk, Omsk, St. Petersburg, Seoul, Tashkent, Tbilisi, Urumqi, and Yekaterinburg. The airline took delivery of a second Airbus A320neo family aircraft, an A321neo, and confirmed an order for five Embraer new-generation E2 regional jets, with deliveries starting from October 2018, bringing its total outstanding aircraft orders to 23 (15 A320neo family, five Embraer E2s, and three Boeing 787s). Air Astana, which operates services to more than 60 domestic and international destinations from hubs at Astana and Almaty, commenced operations in May 2002, and has since built a fleet which now consists of Boeing 767s, 757s, and A320s (including A320neo and A321neo versions), as well as Embraer E190s.